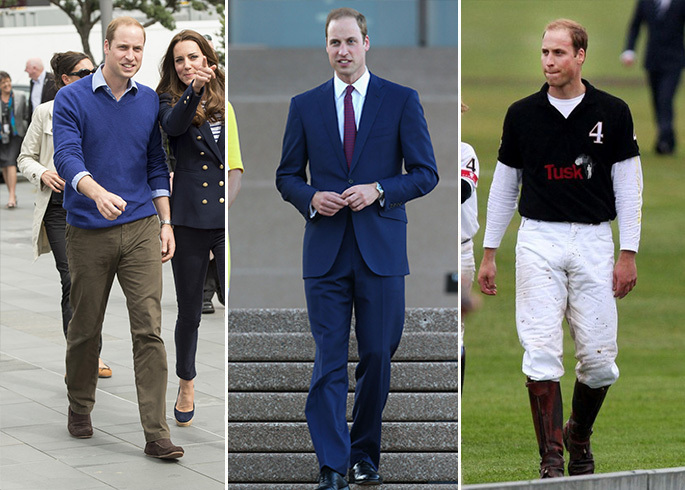 Prince William is the epitome of a refined gentleman. Rarely seen without a suit or a smart shirt, we can only imagine that little George will look the same as he grows up. 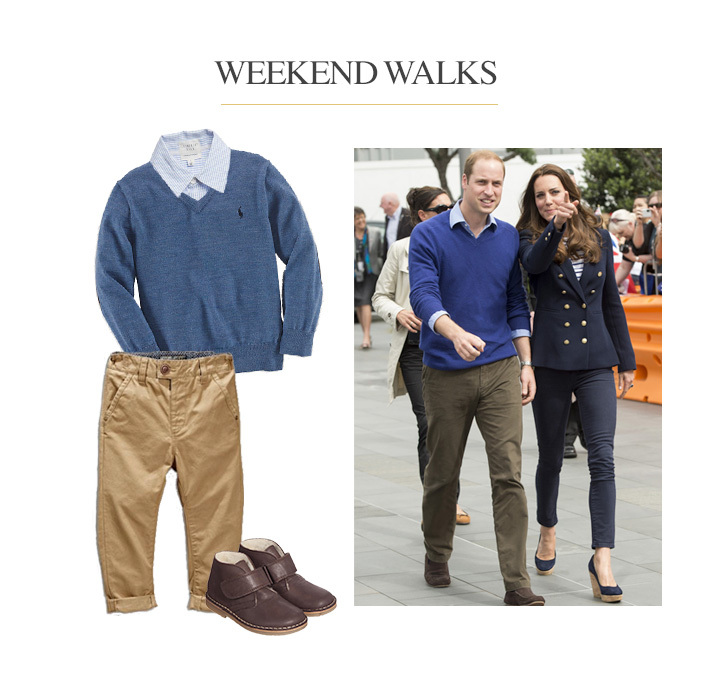 We had such fun creating mini me looks for Kate & Charlotte, so we thought we'd bring you a selection of outfits shrunk down to kid's size for your little Prince! A royal is never underdressed, so a Prince William-inspired weekend look must be practical, yet effortlessly stylish. Dress down a lightweight checked shirt by wearing it open collar under a cosy woollen sweater, and wear them with a pair of classic chino trousers. Whether he's kicking leaves in the park or playing games outside, a pair of sturdy boots (like these ones from Petit Nord) are ideal for long days. 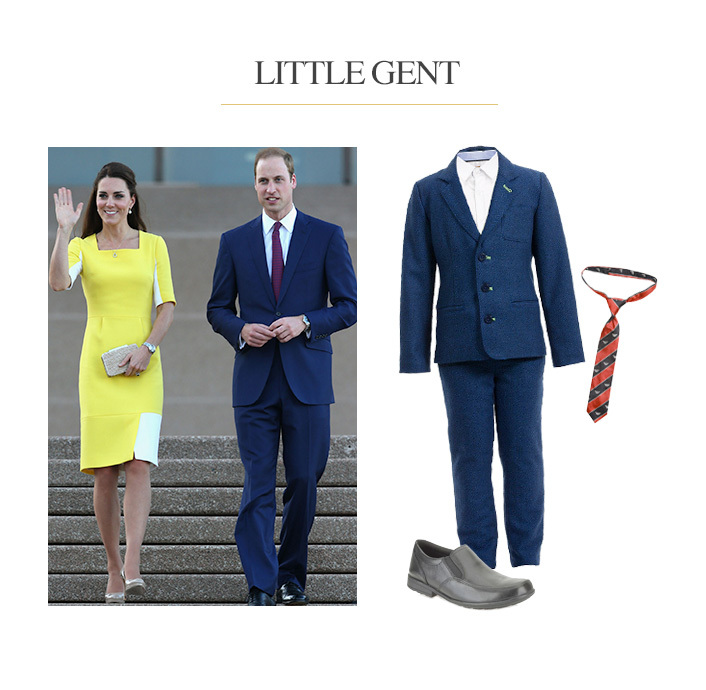 Prince William is no stranger to a sharp suit, and nothing is cuter than a smart outfit in kid's size! Perfect for those royal engagements, pair a stylish navy suit (like this one by Billybandit) with a classic white shirt for a timeless look that will surely turn heads. Accessorise with a tiny striped tie for contrast and slip on a pair of comfy Clark's shoes. 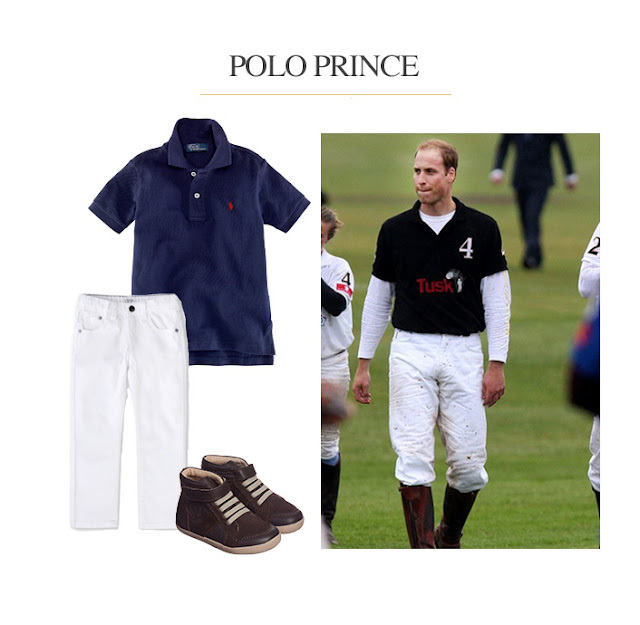 Polo is the sport of royals, so having stylish sports-themed attire is a must-have for budding princes. It all begins with a polo shirt (we love this classic navy style from Ralph Lauren - their polos come in lots of different colours!) teamed with crisp white jeans and comfy trainers, ideal for all that running around on and off the pitch!